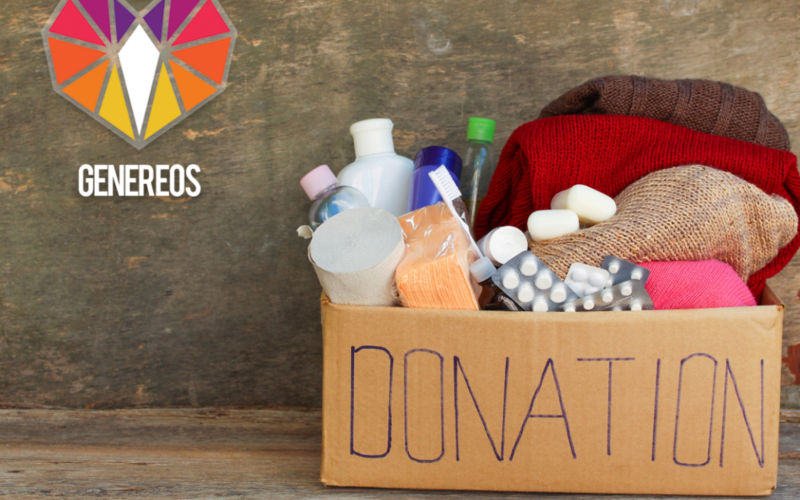 GenerEOS is a Social Enterprise Block Producer candidate whose mission is to re-engineer the way that funds are distributed to Charities and Community Projects. This has been our primary goal since inception and now that we have accumulated funds as a paid stand by Block Producer, we can start giving back to those who need it most. Our goal is to bring these charities and social causes into the EOS fold by providing the donations as EOS. We understand that many charities will not have the resources or know how to access EOS tokens so we plan to take them on this journey and introduce them into the blockchain realm. For safe operation of the block production systems we will continue to allocate 30% of revenue to a savings float until there is enough revenue accumulated to sustain operations for 6 months. After this threshold has been reached, the percentage will be lowered or removed with the exception for market conditions and the remaining diverted back for allocation. Please submit a proposal for an upcoming event or work you have completed outlining the value and resources/time spent. Each submission will be reviewed for its value and worthiness, funds will be donated based on the contributions value and effort. Donations will be on a first come first serve basis until the pool has been completely disbursed. Submissions are now open, please fill out this form to apply. Once the projects are selected, we will promote them to our community and give a report on how the funds were spent and the objectives achieved. The Water Project, is a non-profit organisation unlocking human potential by providing reliable water projects to communities in sub-Saharan Africa who suffer needlessly from a lack of access to clean water and proper sanitation. Girls in Tech is a global non-profit that works to put an end to gender inequality in high-tech industries and startups. They do it by educating and empowering women who are passionate about technology. They offer everything from coding courses to bootcamps to hackathons and startup competitions no matter age or profession. It is Girls in Tech’s mission to support women with the access and community they need to succeed in tech. Médecins Sans Frontières (Doctors Without Borders) is the world’s leading independent organisation for medical humanitarian aid. Every day 30,000 field staff are providing assistance to people caught in crises around the world. With offices in 19 countries supporting these teams, MSF help millions of people in distress. Starlight Children’s Foundation is a non-profit organisation founded in 1982 for hospitalised kids and their families. Starlight programs offer entertainment, education and technology to critically, chronically and terminally ill children. The Sea Shepherd Conservation Society is a non-profit, marine conservation organisation based in Friday Harbor on San Juan Island, Washington, in the United States. Sea Shepherd uses direct action tactics and information campaigns to protect marine life and inform the public of their plight. A catastrophic eruption of Guatemala’s Volcáno de Fuego on June 3, 2018 affected more than 1.7 million people in three central departments, or states. As of Aug. 9 2018, the death toll stood at 165 people, with 260 still missing. This was Guatemala’s most severe volcanic eruption in 45 years. World Vision is on the ground providing immediate relief to survivors. It’s a real shame that you aren’t in the top 21 for EOS permanently. We the community, need to push everyone to vote for you. Am enjoying the fact that you gave some EOS to Sea Shepherd too. Should annoy many people.